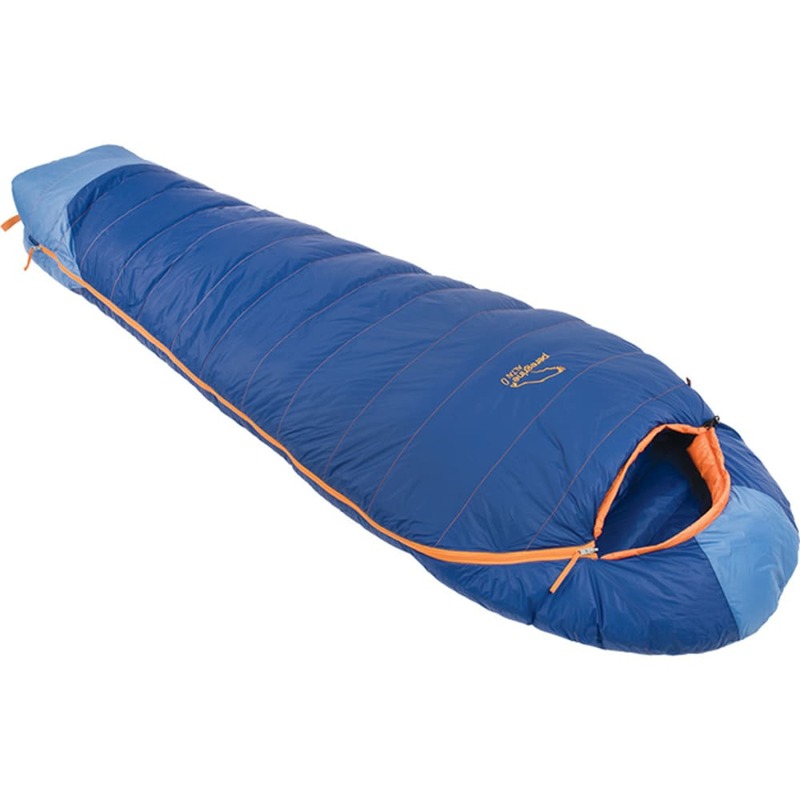 An outstanding value, the Peregrine Altai 0 is the ideal bag for backpacking or camping in cold winter weather in either dry or humid climates. Featuring Primaloft Down Blend Silver and a durable DWR treated 20D 380T Nylon Ripstop shell, the Altai 0 will keep moisture out and trap heat in while providing warmth regardless of outside conditions. The Altai 0 uses durable #5 YKK zippers with anti-snag zipper tape to ensure easy entry and exit every time. The fully insulated hood with easy-to-find draw strings keeps your noggin warm on those cold nights while an internal pocket located near your chest offers safe and quick storage for small essentials, a midnight snack, or valuables. Stuff sack included. Size: Regular 80" x 29" x 21"
Carry Size: 14" x 9"